Nutrition is one of the most overlooked aspects of Health. Unfortunately, traditional western approaches to medicine have typically involved the use of man-made medications that often carry unpleasant side effects. 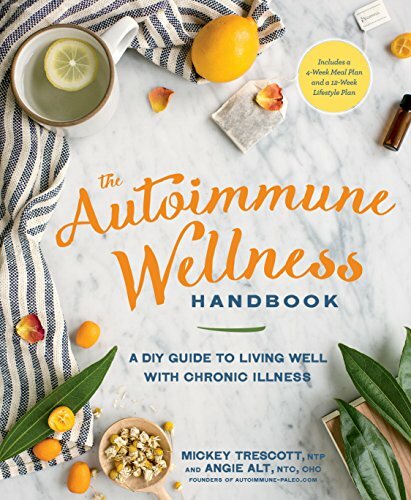 Those who suffer from autoimmune diseases often end up suffering and entirely new range of symptoms that have been brought on by medications that are prescribed to lessen their already frustrated symptoms. What then can a person in this position do? Science has given doctors the ability to see which minerals and vitamins can be the most beneficial in these cases. This vitamin is relatively easy to achieve for people who live in areas that are fortunate enough to have an abundance of sunlight, but if you live in an area that is known to be gloomy at times, it can be very challenging. If you are a person who is living with an autoimmune disease, this could be very problematic, because vitamin D is responsible for the activation of T cells that help to provide major components of your immune system. T cells are in charge of telling your immune system which cells are yours, and which are invasive agents. Without these, you run the risk of your immune system attacking important cells in your own body. Did you know that selenium has a major impact on autoimmune disease? In the last few years, extensive research has revealed that selenium has a dramatic effect on diseases that cause chronic inflammation. Without selenium, your thyroid wouldn’t function quite as well. People who suffer from diseases like Hashimoto’s disease have also been reported as having a reduced amount of antibodies that attack the thyroid or other important cell groups. Due to the extremely high content of sugar in nearly every food group, your body’s storage of vital nutrients like magnesium in combination with constant stress create an environment in your body that leave you depleted of this mineral. The lack of magnesium has also been found to contribute highly to a buildup of cytokines, which are responsible for providing an environment in your body that makes inflammation more possible. This can become extremely serious for people who are at a high risk for heart disease, because inflammation in circulatory tissues could cause strokes, blood clots, or even heart attack. One of nature’s gifts, vitamin E is a highly antioxidant vitamin that helps fight free radicals and reduces damage to your system including inflammation. Vitamin E can also serve as a antimicrobial source.